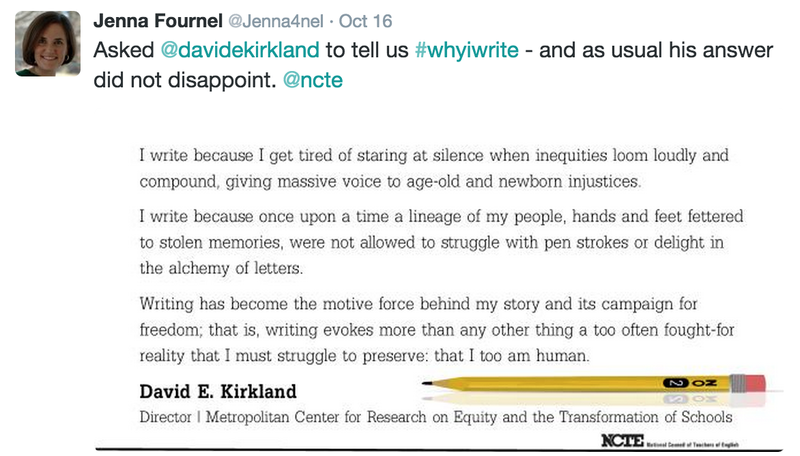 Last month, Dana launched a new feature at Two Writing Teachers: a curated collection of writing Tweets. October was my month to set aside a few favorites to bring to you this end-of-the-month Halloween day. 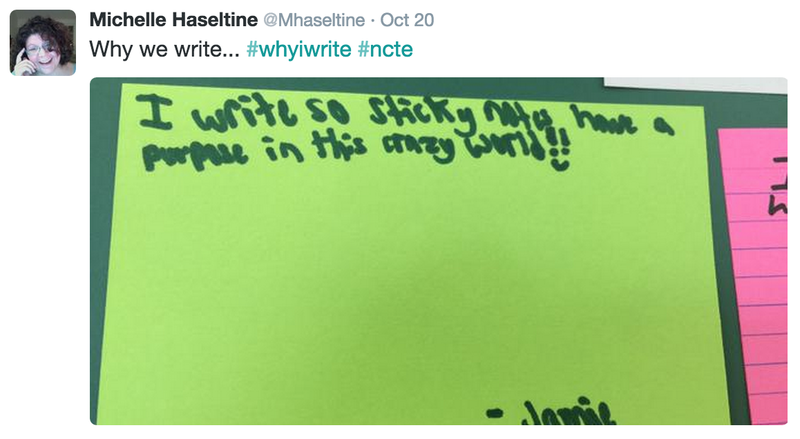 *Did you miss the TCRWP Saturday Reunion? 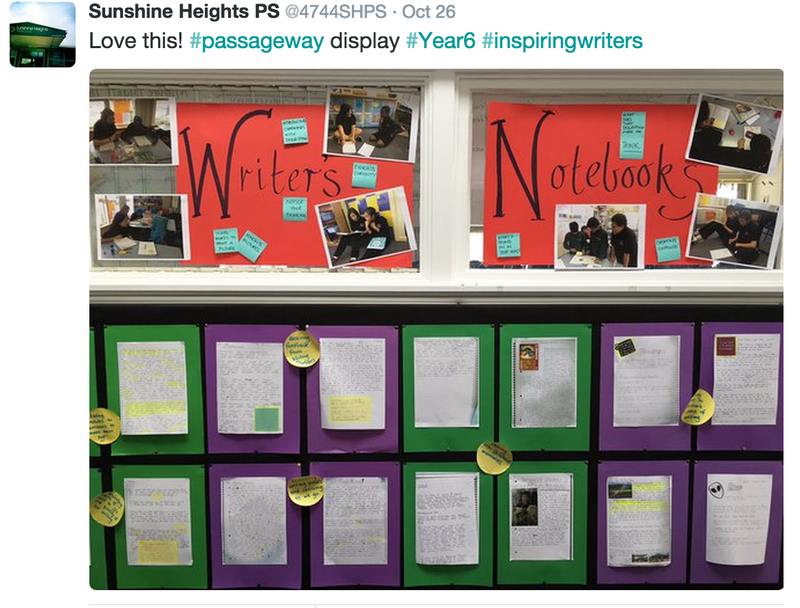 Never fear, Fran McVeigh was there and shared her reading/writing learning. What would we in the teaching community do without Fran? 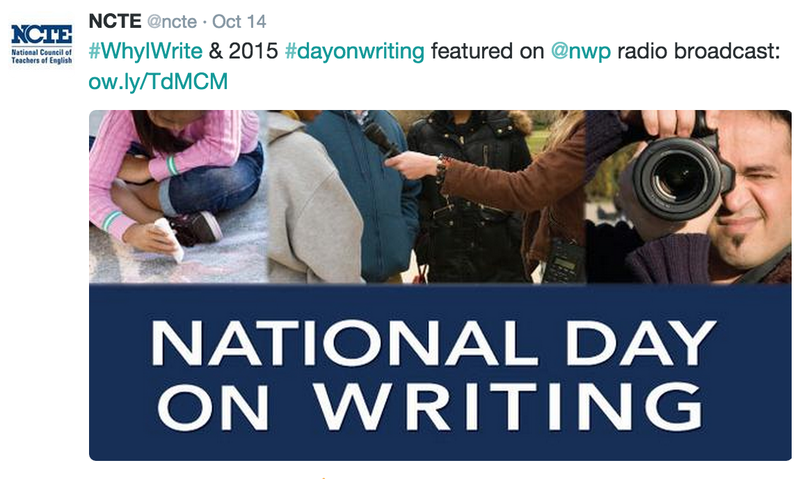 *Back to Kevin for another great Tweet about Digital Writing Month resources! 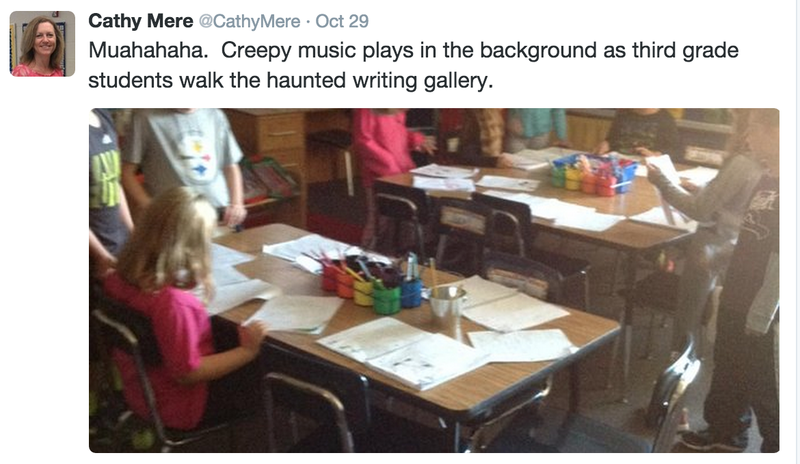 *What’s not to love about this Tweet from Cathy Mere – celebrating her writers…Halloween style! 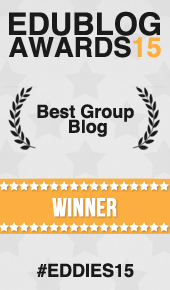 This was wonderful! 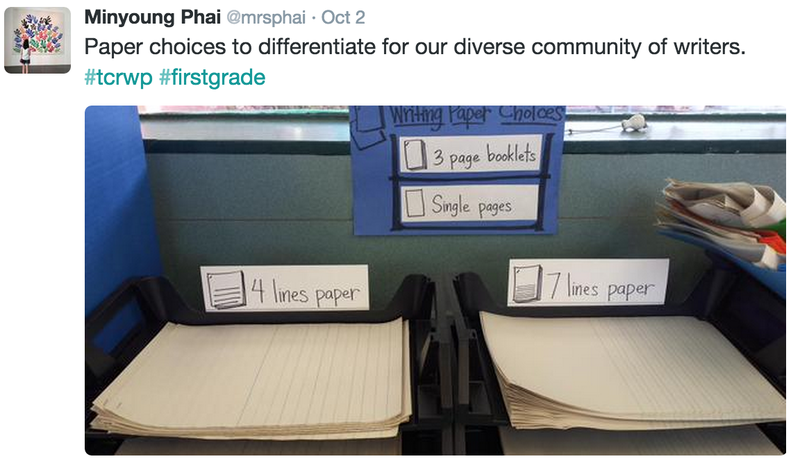 I loved seeing some tweets I missed and seeing excellent teacher/bloggers highlighted. Love that you guys are curating tweets! It gives me another chance to find important tweets. Honored to be included in this collection. Thank you, Tara!